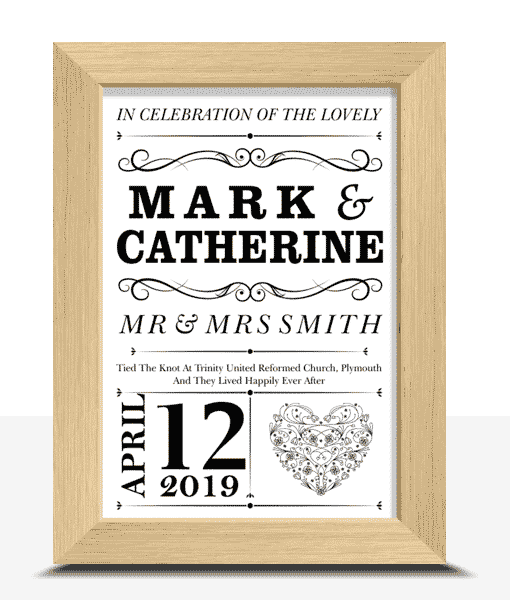 Create a special personalised wedding gift. 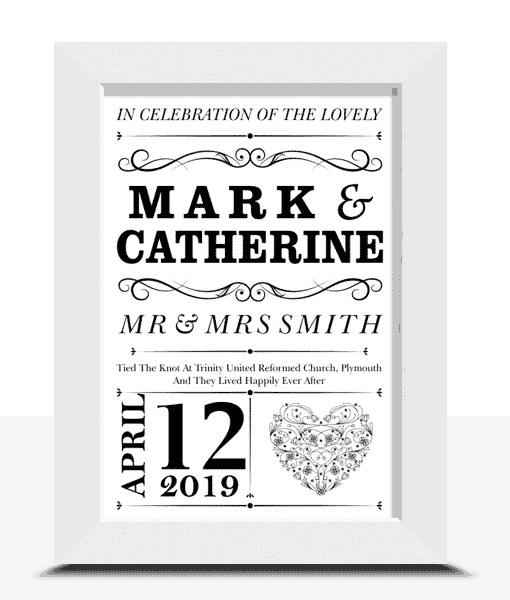 This wedding word art print makes a lovely keepsake gift for a newly wed couple. 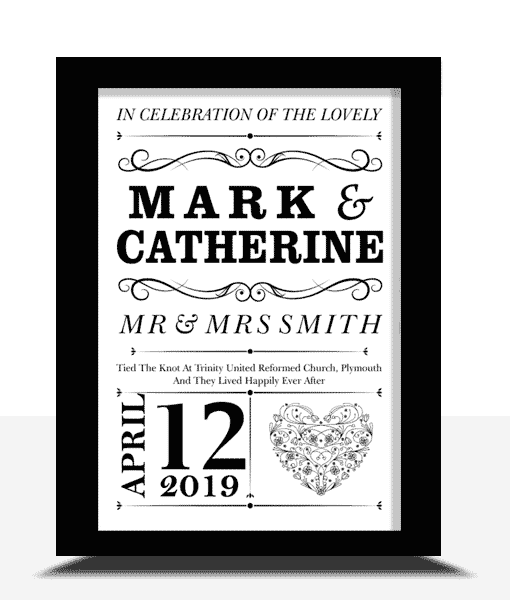 The print can be fully personalised with the couples wedding day details to mark the special occasion. 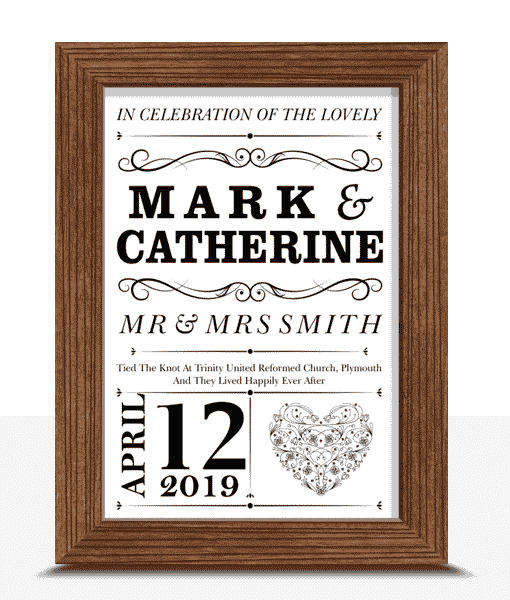 A selection of print colours and frames are available to help you match the wedding theme colours. 1. Select the size you require. 2. Choose the style of frame you want. 3. Choose the colour of the print. 4. Add both their first names. 5. 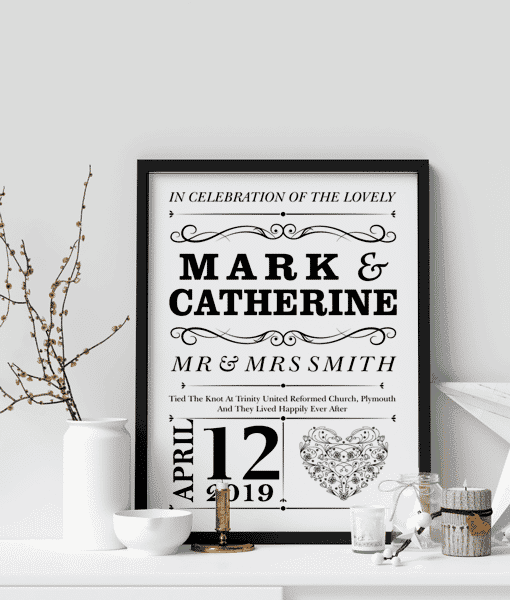 Add the couples married surname. 7. Add the wedding date.